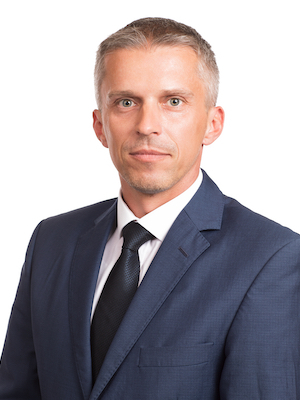 As the year 2018 draws to an end, it is a good idea for your Czech business to conduct a legal audit to avoid unnecessary risk and expenses in the coming year. A few minutes now can save you substantial cost and trouble later. Here are a few things that you should consider doing with respect to your Czech business before the arrival of the New Year. 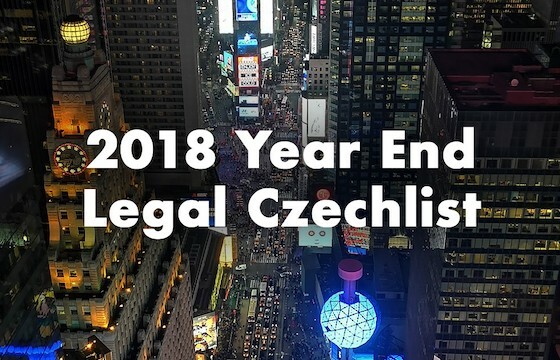 ECOVIS ježek has prepared a legal checklist, or a Czechlist, if you like … Here are some items that your Czech business needs to have done by the end of the year and that owners of Czech legal entities should tick off in their year-end to-do list. The year 2019 will bring not only new obligations, but also stricter checks regarding compliance with existing obligations which have not yet been actively enforced. Even without the new obligations, it can be riskier than ever for owners of Czech businesses. One of the most famous Czech footballers, Antonín Panenka, knows this all too well. A registration court ordered the liquidation of his company because it had failed to fulfil its obligation to file its financial statements in the Collection of Instruments of the Commercial Register. In another case, there is a risk that the company with a billion-czech crown turnover will be liquidated by a court order just because one of its executives resigned and no other executive was appointed immediately, even though the company had three other executives, each acting separately. The sanction for non-fulfilment of the above mentioned obligations varies from penalties of up to CZK 100,000 or in specific cases even up to 3% resp. 6% of a company’s total assets. In extreme cases, the liquidation of the company can be ordered by the court.